Ability Text: Target creature you gets -5/-5 until end of turn. If that creature would die this turn, exile it instead. 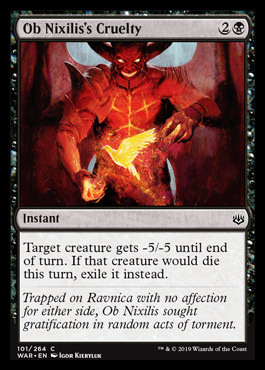 Flavor Text: Trapped on Ravnica with no affection for either side, Ob Nixilis sought gratification in random acts torment.